Read what others are saying about their holiday with Coco Golf! I just want to reach out to you and say thank you for an unbelievable trip. To a man all 8 of us were blown away by how smoothly every aspect of the trip went. Coco Golf will be highly recommended by each and every member of our group that’s for sure. This was a fantastic experience! I would like to thank you and the boys for looking after me in Chiang Mai and Pattaya last month. I found the whole experience very rewarding having met so many nice people and having a good laugh along the way, all except Tim as I lost a few baht to him. I first travelled to Thailand with Coco Golf in 2006 and had a thoroughly enjoyable trip. The organisation from welcoming at the airport to transport to the courses was first class. So much so that I have been a regular visitor to LOS ever since and looking forward to bringing 16 golfers in January 2015. The fact that we have spent seven golfing holidays with Coco Golf speaks for itself. and Simon at Coco Golf provides a truly memorable golfing holiday. Once again Coco Golf have come up trumps! A big thank you from our golfing group at Addington Palace in Surrey UK. We had a wonderful time and can’t wait to return to the fabulous green courses, warm seas, sandy beaches and the bright lights. This is the fifth year with you and we have always receive excellent service, from being collected from the airport to being delivered back to the airport. All your staff are very courteous and extremely helpful in every way, with a warm smile and a cheery greeting each morning. The air-condition buses that ferry us from hotel to golf course are a “god send” in the heat and bottled water is always welcome after a hard night on the town. The organisation of the Hotel booking together with the golf courses, tee times, buggies etc. was faultless as ever and always as we requested. Many thanks and best wishes Simon, from all the boys, we’re looking forward to Joining you and your team again in 2015. After two wonderful golf holidays c/o Coco Golf I am on my way back in January for the third. The tours are very well run. Excellent courses and plenty of things to do and places to see if one feels a bit golfed out. Simon is a perfect host. 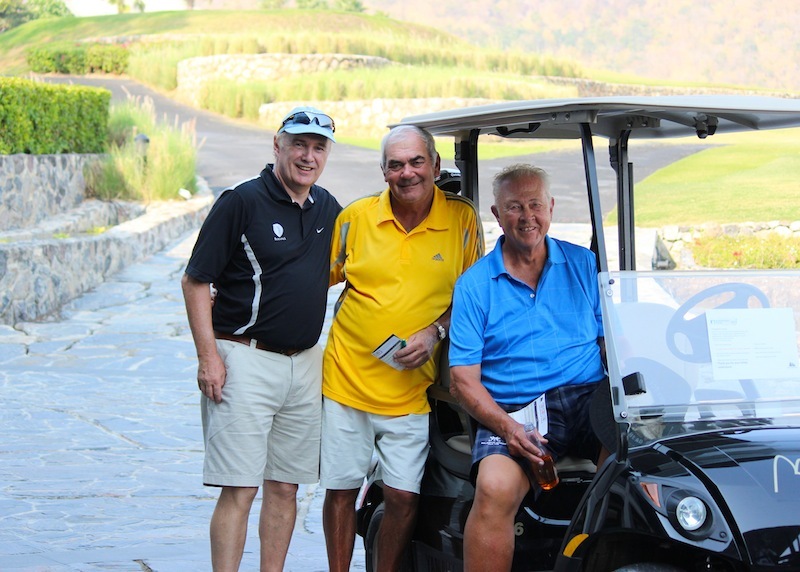 Having done business with Simon and Murray at Coco Golf for more years than i can remember, I have no hesitation in acknowledging their contribution to the development of golfing holidays in Thailand. Their professional approach to detail supported by a knowledgeable and courteous staff guarantees a pleasant golfing experience with options geared to what you require and can afford. I have no hesitation in recommending Coco Golf. 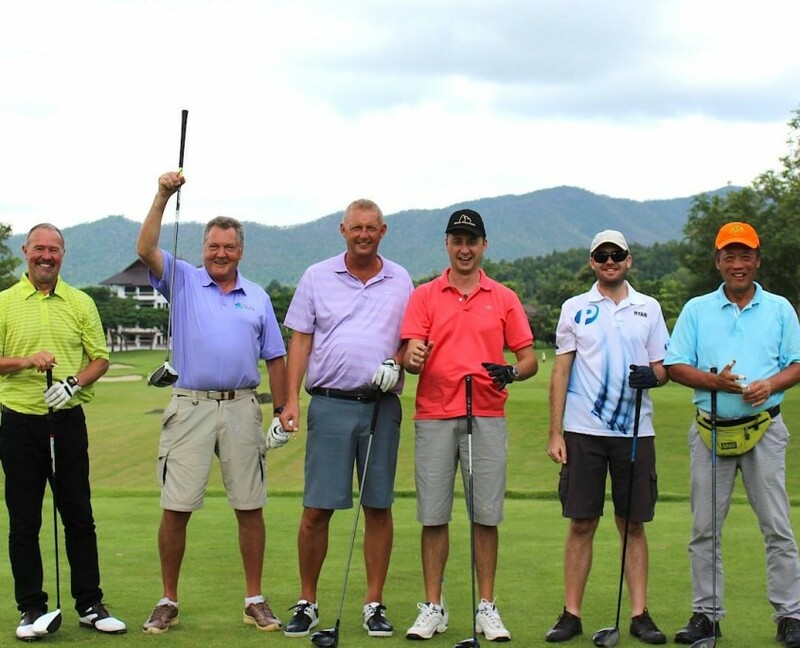 We had a fantastic trip to Thailand with Coco Golf. Plenty of golf, wonderful courses and plenty of interesting days out. Nothing was too much trouble. 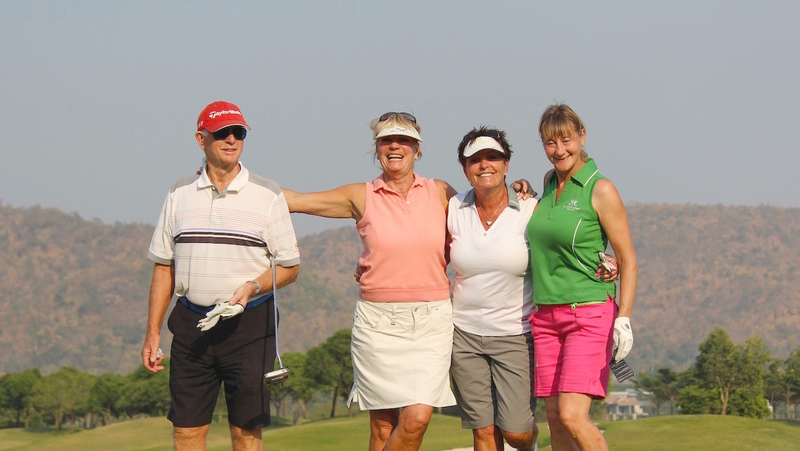 I have used Coco Golf for golf tours to Thailand for a number of years, and am delighted with both the quality of service and product they offer; special mention must go their hugely reliable, helpful and friendly staff who have made a real difference to our golfing trips. Once again to thank you for all your assistance in helping us plan out next visit to Thailand in February 2015, this will be our 11th year and I must say that on all our previous visits you have made our visits to the land of smiles a pleasure and assisted us on the few occasions we had need to amend our itinerary by doing it and with truly a smile. We all look forward to meeting with you and your team in 2015 and hopefully a few more years. From the word Go we found your airport to hotel to golf course service just brilliant in terms of smooth handling of our holidays. We have so many memories of the Pattaya area, magical Santiburi in the north as part of the Triangle Tour and our last visit was the icing on the cake. We loved fabulous courses in Hua Hin, particularly The Banyan and Black Mountain. Of course it’s not just the terrific courses, the hotels, glorious beaches and restaurants. It is that welcome in The Land of Smiles and great company, meeting new and old friends on the tours. Once again we will be looking at the holiday brochures, considering a cruise or a tour and then say, “Let’s contact Simon.” Can’t wait to return. I have been on many trips with Coco Golf both with our own group and singly. All trips have been very social and everybody easy to get on with. I have found all the chosen locations to be excellent with a selection of hotels to suit all tastes. The golf courses are always in excellent condition. The locations are varied and usually linked which means you can choose the length of your holiday and benefit from several different Thai towns. Last minute requests to Coco Golf never seem to fluster; and have always been fulfilled! Coco Golf staff are good the drivers always helpful and prompt. I am not sure what else you could ask for! We would like to thank Simon and his team for yet again a wonderful holiday in Thailand. Nothing is ever too much for the team, we were looked after by Chi this year and he was unbelievably helpful, even down to getting our laundry done for us. The transport between destinations was seamless and on one occasion very exciting ( a lovely river trip), all in all I would always recommend Coco Golf to anyone and have actually done so quite a few times already. The best thing about Coco Golf is that you get exactly what you ask for Simon has always taylor made our holidays for us, although we have never been on one of his Golf Tours with large groups we have in the past joined some of them to play Golf a couple of times and they have all told us what a wonderful time they were having. Once again Simon thank you. Simon Rolstone of Coco Golf endeavours to bring an enjoyable golf experience to Thailand with excellent administration and thorough enjoyment. An holiday of golf not to be missed. Having now returned from our 7th (or is it 8?) Golf tours with Coco Golf we are just mailing you to say “Thanks to all at Coco for a super holiday…. again!”. 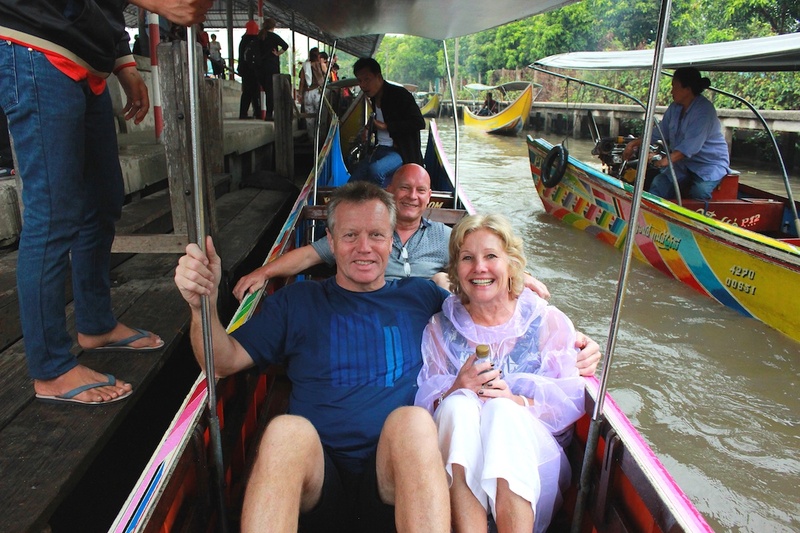 This year we did the “River Kwai Tour” for the second time and really enjoyed the 12 day tour. From the moment we touched down at Bangkok until we left it was a true “Holiday”. Great Golf courses, friendly competitive ( but not intense) golf competitions, lots of options available for “non” golf days and good advice from the Coco staff on restaurants, things to do and see. As you are aware you arranged an additional week for us in Hua Hin which really rounded off a super holiday. Len and Kiki would like to send you our great wishes for a terrific 2015. We are both looking forward join in on your tours, they are great value, great courses, good hotel, but foremost we enjoy your company and other participants in your events. Always relaxed and fun! 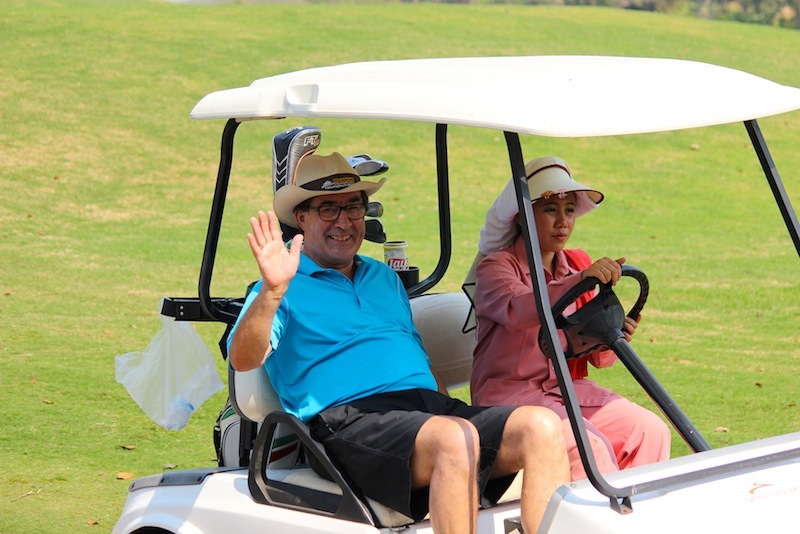 I have been taking a group of Aussie golfers to Thailand every year since 1997, we are very fortunate to have Simon from Cocogolf handle all of our arrangements in Thailand. We have always been looked after well by Simon and his staff and would never consider using anyone else. If golfing in Thailand I would suggest only using Coco Golf, they are the best! Many thanks for your help in organising our visit to Thailand and for ‘looking after’ us while we were in Chiang Mai. The whole trip, flights, connections etc were all excellent. We had a brilliant time both while in Chiang Mai and also on our other part of the holiday. The golf was excellent and although I had been so nervous about it before I really enjoyed it. We both thought all three courses were brilliant. It was an added bonus for us to be playing with Nigel! Thanks also for our meal on the first evening, we didn’t realise we wouldn’t see you again, so sorry we didn’t express our appreciation at the time. Just a quick e-mail to thank you and the team for yet another successful golfing trip. As usual, everything went without a hitch, and we all had a very enjoyable time. We have now used Coco Golf for many years, and each trip has always been meticulously organised. Any potential problems have always been sorted out immediately, and in this respect, full credit goes to your team, who are always on hand 24/7. We will continue to use Coco Golf for all our future trips. 15 years ago when we both retired it gave us the opportunity of joining escorted Golf Tours to the Far East. We cannot find a better operator than Coco Golf for service and value for money. We have tried other Tour Operators but always come back to Coco where we have been on all of their Thailand Tours. We now class Simon the M.D. as a personal friend and look forward to seeing him again on two of his tours in January and February 2015. My friends and I have used Coco Golf on several occasions on our visits to Thailand and we have found Simon and the drivers to be excellent. On the many occasions we have needed help and advise they have always been there and ready to help and assist even on non golfing matters. I would highly recommend Coco Golf to anyone thinking of visiting Thailand for your golfing holiday. If you have not visited Thailand and played golf it is a must on anybodies bucket list. Highly recommended. Just wanted to say thank you for a holiday experience that Ian and I will never forget. As I have just emailed to Lee, our usual holidays these days are European, quiet golfing holidays with Italy being our firm favourite, Thailand therefore was such a contrast!! We had such good fun and experienced things that we would never have done had we travelled to Thailand on our own. The golf courses were beautiful, in particular Black Mountain and Laem Chabang Another highlight for us was the whole River Kwai trip, the floating market on the long boats, and the Floatel was amazing, being towed down the river complete with your table of food & beer – something to remember and definitely one for my holiday scrapbook. We found the museum and Hellfire Pass to be humbling, having read various POW accounts before we travelled, to see it made it all very real. The Mini bus tour operators were superb and we wish to thank Somchai & Ched in particular. Not only was he kind and helpful during our stay, he was truly fantastic with Ian who was quite poorly on our journey home and was ill several times on the way to the airport. Somchai was so kind and understanding and we would like to send our grateful and heartfelt thanks to him. It was a very long journey home for Ian but he’s making a good and speedy recovery. Thank you again to you and your team! 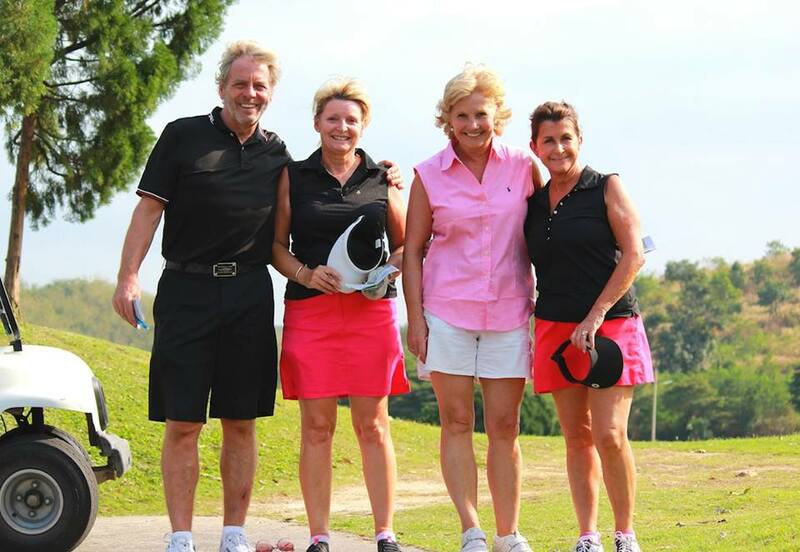 Thank you for yet another Great golfing holiday in Thailand!! This was my 5th golf trip with Coco Golf to Thailand and although I usually travel as part of a larger group of golfers this was the first time I had ever been there on my own. I have to say it never felt like I was on my own due to the friendliness and camaraderie amongst the golfers who take part in these tournaments. I would have no hesitation in recommending Coco Golf to anyone who is contemplating a Golf Trip to Thailand, where the only responsibility you will have is to remember your golf clubs! Once again a big thank you for providing a truly superb golfing experience and I look forward to booking with you again next year!!! Coco Golf arrange relaxed golf competitions at excellent courses, with reliable pick-up service from the hotel at a good price. I have been delighted with their services. I would like to thank you and all your staff for the continuous enjoyment that your tours have provided over the years! It is always reassuring to know that your every need is catered for and that the golf will be of an excellent standard!